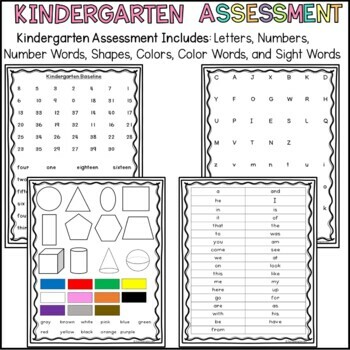 Looking for a assessment to test your kindergarten and 1st grade students? 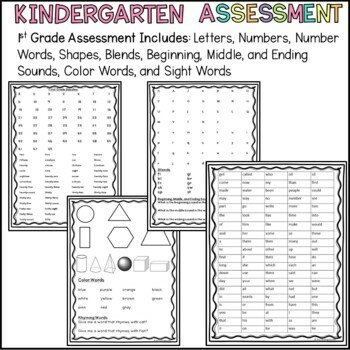 This kindergarten and first grade assessment will help you assess your students in many different ways. 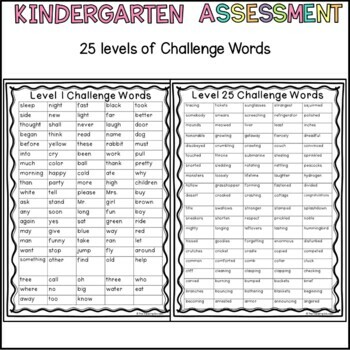 This assessment will keep track of an individual student’s progress especially at the beginning and the end of the year. 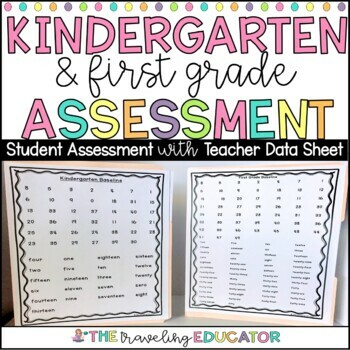 These assessments are a great tool to help you keep track of progress and to present to parents at parent-teacher conferences. * This assessment can be used to test kindergarten and first grade students in ELA and Math. * This assessment is to be used for testing one student at a time..
* This assessment can be helpful for parent teaching conferences. * I know my sight word posters can be a motivation tool for students. Please look at the preview above before downloading. Don’t forget that leaving feedback earns you points towards free Teachers Pay Teachers purchases. Also, follow me on TPT and be notified when new products are added. New products are always 50% off for the first 24 hours they are posted. It pays to follow me on TPT! Thanks for looking at my product.